This easy to spot black, yellow and white gem is found abundantly in Hawaiian waters. The Moorish Idol got its name from the Moors of Africa, who thought the fish to be a bringer of happiness. Save your happy smiles for the surface though, as smiling can fill your mask with salt water and cloud the view. 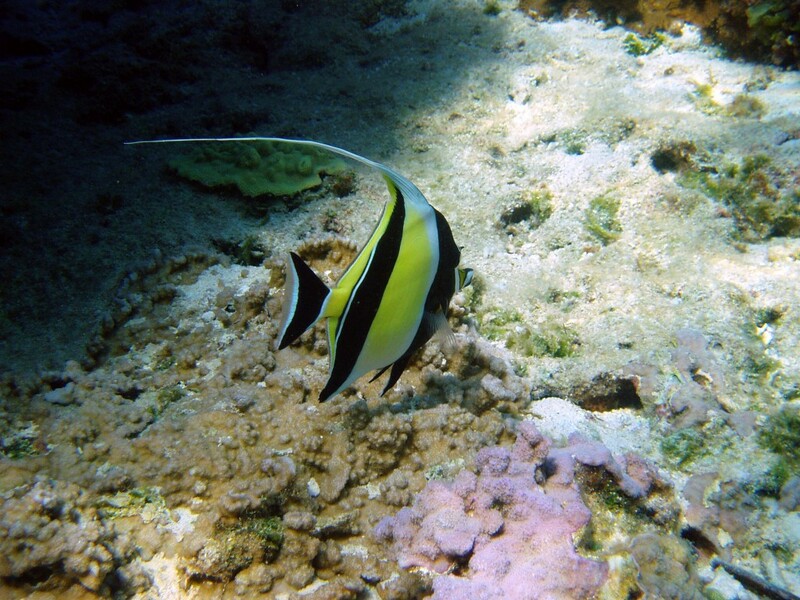 Sometimes the Moorish Idol is mistaken for the pennant butterfly fish and vice-versa. Moorish Idols typically spend time in pairs while blending in with other reef fish like the Yellow Tang or Reef Triggerfish. You can read an in-depth fact sheet on Moorish Idols here. NOAA is an agency that enriches life through science. Their reach goes from the surface of the sun to the depths of the ocean floor as they work to keep citizens informed of the changing environment around them.